A provision in the scheme allows the I-T department to go after evaders for undisclosed assets acquired well before six years. Today, tax officers, as per law, refrain from reopening assessment which are more than six years old. "The IDS changes this as it empowers assessing officers to revisit old matters. It is against the Income-tax Act and settled nature of tax assessment," said a tax official in Mumbai. The IDS provisions even legally do not over power existing 6 years limitation and FAQ issued in this regard is not main tenable as per jurisprudence. The Income Tax department has identified 90 lakh high-value transactions carried out without quoting PAN, the Finance ministry said asking tax evaders to own up and come clean on such transactions. 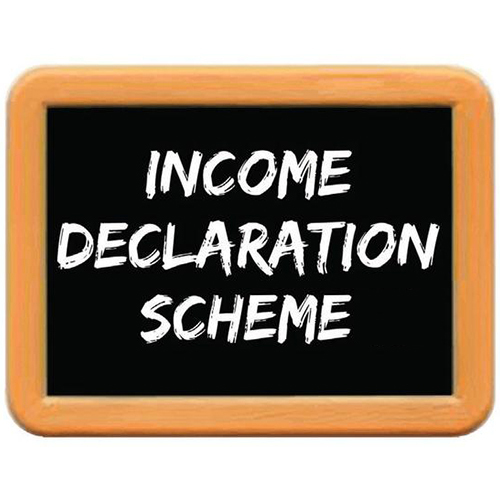 Declaration made under the Scheme can be revised upwards before the date of closure of the Scheme i.e. 30 September, 2016. The cases of the declarant shall not be selected for scrutiny under the CASS on the ground that there is increase in capital in the balance sheet as a result of the declaration made under the Scheme. 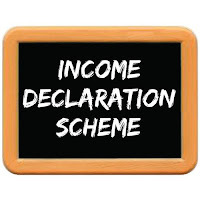 Immunity to the directors or the partners, as the case may be, shall be available in respect of the undisclosed income declared under the Scheme by the company or partnership firm. A person having undisclosed income in the form of an investment in immovable property in the name of his spouse can declare the fair market value of the property in his own name if the funds for acquisition of the said property were provided by such person.